Pizza is up there with one of my favourite foods in the universe. I would go as far to say if I could only eat one type of food for the rest of my life it would probably be pizza. As I have gotten older I have become some what of a pizza snob, I do not appreciate a soggy base thank you very much! Which is why when my favourite Pizza chain opened a new restaurant right down the road I was thrilled, and even more so when I was invited to try it out with a few other local bloggers. 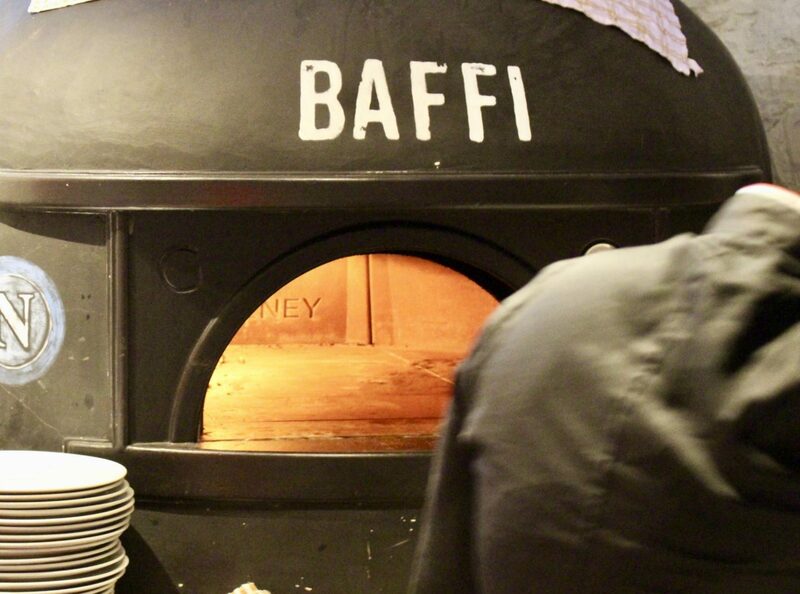 Baffi Pizza has arrived in Poole! 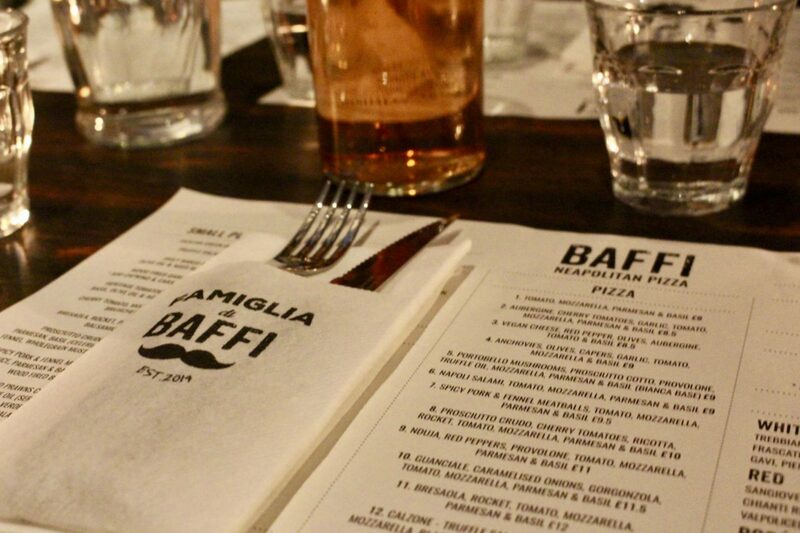 Baffi pride themselves on bringing authentic Neapolitan style pizzas to the table. With fresh and simple toppings they have created a delicious menu which once you try you will never look back. 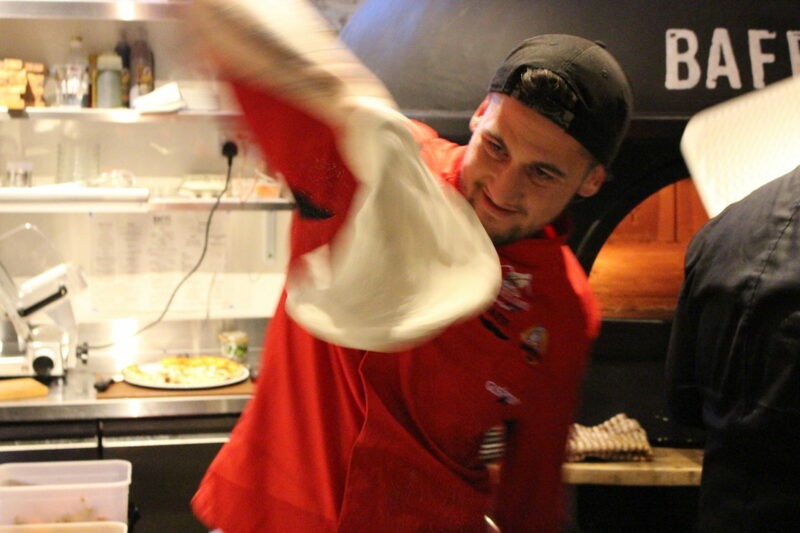 The pizza’s are hand kneaded and cooked at temperatures of up to 500°c in their wood fire ovens. There is something quite lovely about seeing your pizza created before your eyes! 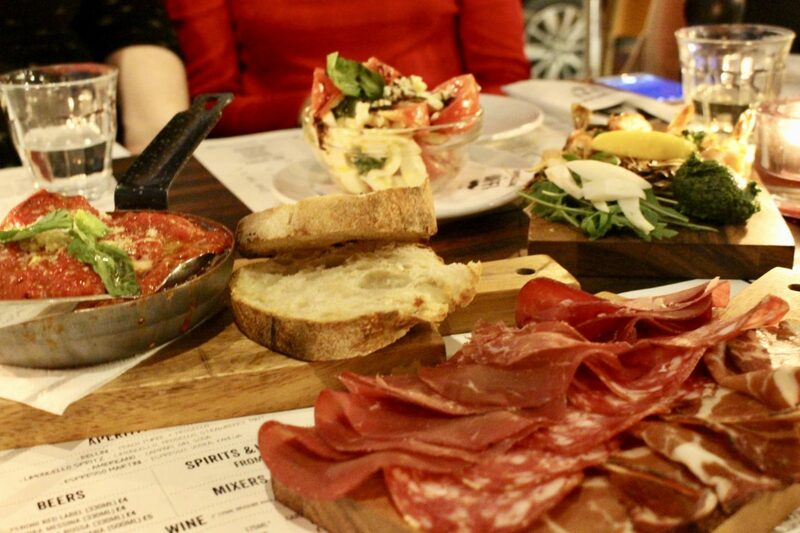 We had a selection of starters including mozzarella with tomatoes, spicy pork and fennel meatballs and an antipasti board (cold meats and olives to you and I). Despite previous visits to Baffi it was my first taste of starters from them and I must say it was delicious! If you are in a large group they work really well as sharers to enjoy with a glass of wine. 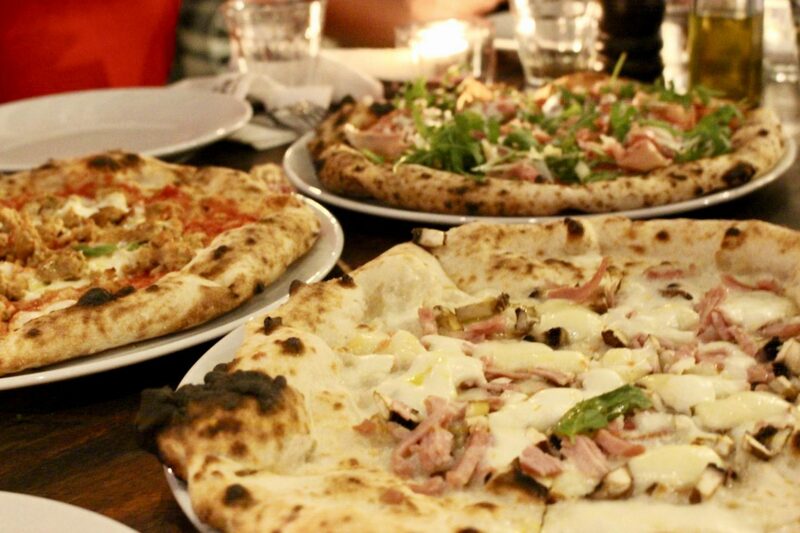 For mains we decided to share a selection of different pizza’s. With a large selection of different flavours and toppings to choose from we couldn’t settle on just the one each. It was the perfect way to try out all that Baffin had to offer and discover your favourite toppings. My favourite of the night was the Bresaola with rocket, tomato, mozzarella, parmesan and basil – it was the perfect balance of flavours. I love how thin the bases are it really lets you enjoy the pizza without leaving you feeling excessively carbed out! I have been a fan of Baffi’s Pizzas for a while now I am delighted to see a restaurant opened up so close to us now especially with the amazing half price take away the offer on a tuesday I may be my new weekly cheat meal!